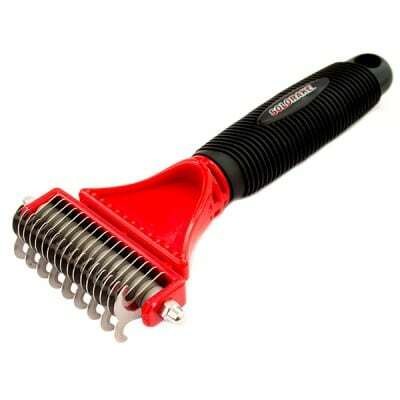 Mario Granito developed the SoloComb concept as an alternative to scissors. It has taken the equine market by storm since then due to its simplicity and ability to solve problem manes and tails. Today the comb is available in over 30 countries worldwide. "Mia and I would like to thank you very much for the Solo Kit we won last month. We used it today on one of Mia's 3 ponies, Bertie, her veteran Exmoor X. He has a thin mane near his withers, but it's very thick up towards his poll. The Solo Rake was excellent for thinning Bertie's mane out first; and the Solo Comb made light work of shortening it. I very quickly got used to how it works, and did Bertie's mane in record time. Bertie hates his mane being pulled, but once he realised after back combing there was no pull, he settled and stood like a rock for the job. The fabulous Solo Brush has been fantastic on getting Bertie's winter coat out; and its self clearing design means no more struggling to pull hair out of a brush before using it again. 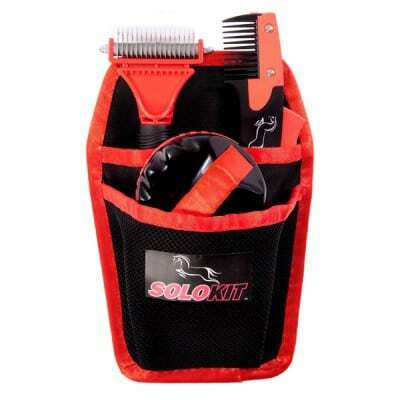 I would very highly recommend the Solo Kit; we can't wait to try it on the other ponies." "Thank you so much your Solocomb is fab. Teddy came to us a very nervous young man, he’s tickly and gets worried easily. Mane pulling was never an option. Thanks to the Solocomb, a gentle, kind and highly efficient way to shorten his mane, he stands happily whilst I do it. " "My trainer had been pulling his mane, a mane thick and unruly, mane like that of a Shetland pony. My mind drifted back to a scene at the barn where a drugged white pony stood helpless, head down, while three adults pulled her mane out by the roots. As far as I’m concerned, that is what nightmares are made of. “You should get one of these,” said a nearby rider as I tried unsuccessfully to brush Major’s mane. I couldn’t rest until I had my hands on a Solocomb. Never again would any of my horses be subjected to what I consider this inhuman treatment. The Solocomb has tamed my thoroughbred’s abundant mane and we now use it on my Welch pony, whose mane is even thicker and longer than Major’s. 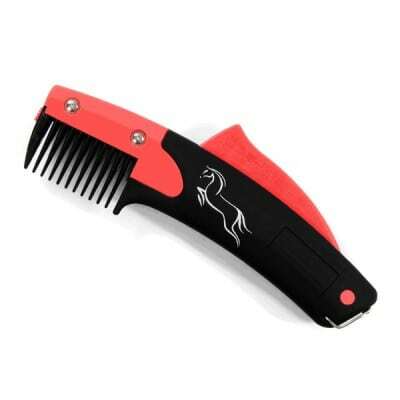 We keep their manes under control during the winter, but during show season, the Solocomb gets put to the ultimate test. Major and my pony, Major Minor, are eventing/dressage horses and the Solocomb even makes braiding for events easier. 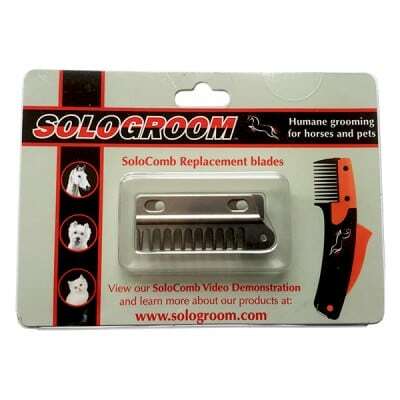 Thank you Solocomb from me and especially from my horses." "My two homebred ponies were champion and reserve champion Connemaras at the Royal Norfolk Show and I had a lot of lovely comments about their manes and tails so thank you. I feel you helped me produce my ponies in a very humane way. I have attached two photos taken at the British Connemara Breed Show 2013: Kindesella Emma who was the non breeding champion and reserve British bred champion, and Kindesella Moonshine who was the Tam o shanter reserve champion." "The SoloRake must be doing really well, everyone I know has one and we all love it." "The SoloRake gave a superb pulled look to my pony’s long thick mane. It was really safe and easy to use and he was very happy for it to be done, unlike pulling! 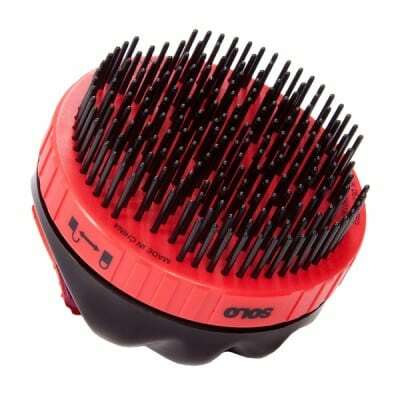 It is great for getting rid of any tangles and for thinning. I would highly recommend it!" "I have used the SoloRake on both my cats and dog and found it to be a really useful tool for pulling out the undercoat. The 'grippy' handle is great to use."